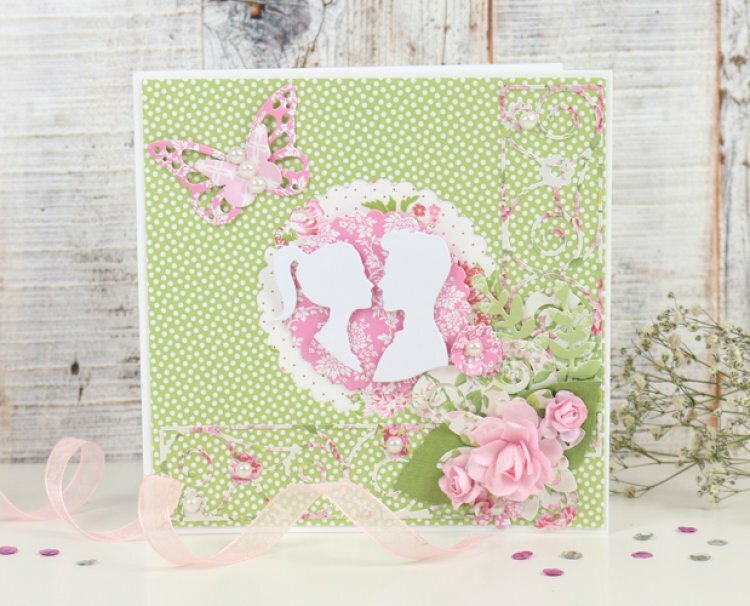 With a few crafty products and good light, it’s so easy to create a gorgeous background to complement your project. Using a 12x12 paper pad, you can use a neutral colour palette sheet as a background. We also suggest using the back of another sheet so you have a nice, white surface to make your craft really stand out. To coordinate with your chosen make, why not include a few crafty products to surround it? We have used ribbon, flowers and sequins to add a colourful finish to the photo. Less is always more so don’t worry about filling each corner of the photo with craft products. A clear, detailed photo will always look better than one that looks crowded. Natural light is your friend, so when taking a photo, make sure to be in a well lit room so that the camera can pick up on all the wonderful detail included on your project. However, it’s difficult to get natural light during winter or dull days so we suggest using two points of light. For example, you could use a lamp either side of your craft, to rid your picture of any unwanted shadows. Your project doesn’t need to be standing up, why not lie it down flat on your surface? The turquoise colour complements this craft perfectly, without the need for any extra products in the background. If taking your photo on a phone, make sure to rest your arms on your surface to reduce the chances of a blurry image. Don’t worry If you don’t use a camera, your phone has the capability to take high quality photos in seconds! We have bought a small easel from The Works to rest our phone so that we can achieve a crisp photo, each time we use it. While looking at your phone screen or looking through the eye piece on your camera, you will be able to see if your craft isn’t centred. Make sure to rearrange so no corners are cut out. Taking pictures of intricate detail is always worth while as this could be a section you’ve spent a lot of time working on. Make sure to focus your camera or phone when taking the picture. Both Phones and Tablets have great editing tools already installed that are really worth checking out.